- تغيير وتعديل صورة وبيانات الاغنيه في نفس المشغل. - اضافة مؤثرات كثيره على الاصوات والاغاني. - التعديل على الاصوات والموسيقى. Do you want to get the best Musical Experience on your Android device?! Pi Music Player is a stunning Music Player, beautifully crafted with Material Design in mind and packed with some extraordinary powerful features. The built-in Equalizer adds a great value to your music hearing experience. You can easily browse through all your music files with the enhanced Folder view. The advanced Music Share feature lets you share anything you want like multiple tracks,multiple albums,multiple genres and even multiple playlists also. Easily set any song as your default Ringtone within seconds. You can even cut any mp3 file using the Ringtone Cutter and make them as default Ringtone too. ★ Built-in 5 Band Equalizer with Bass Boost, 3D Reverb Effects, Virtualizer & 10 amazing presets. ★ Ringtone Cutter to precisely cut any mp3 file. ★ Advanced Music Share feature. ★ Enhanced Folder view of all music files. ★ Edit metadata about tracks, albums, artists, genres. ★ Sleek, intuitive and beautifully crafted User Interface and Media Controls. 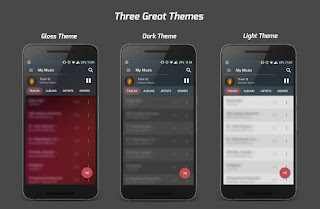 ★ Three great themes - Gloss Theme, Light Theme and Dark Theme. ★ Lock screen controls with Full Screen Album Art. ★ Cool Seamless transitions and animations. 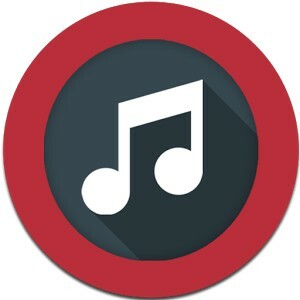 Pi Music Player is a Free (Ad supported) Music Player to be used with the local music files. More features like Custom Presets, Accent color choice will be updated soon. In any case,if you notice any bugs or crashes, kindly REPORT it by sending a mail to us. We will definitely try to fix all the issues as soon as possible. The default Album art image used in the Screenshot and application is designed by Freepik. For Best Experience, Please use Headsets for 3D Reverb Effects. # First 10 application opening will be ad-free. # read sensitive log data --> To send the crash report to the developer. # read, modify or delete the contents of your USB storage --> To read, modify or delete the music files. # read phone status and identity --> To pause the playback when you make a call or receive a call. # change your audio settings --> For equalizer and controls. # full network access & view network connections --> To show Ads and also to crash report to the developer. # modify system settings --> To change Ringtone of the device. # change system display settings --> Because there is no Landscape mode for Ringtone cutter and playback screen. # prevent device from sleeping --> Playback screen will not sleep when a song is playing. For Marshmallow Users: The permission message 'Allow Pi Music Player to make and manage phone calls' is generated by Android OS when we use the 'read phone status and identity' permission.Our Music Player will NOT make or manage any calls in your device. It will only read the Call Status to control the playback when you are in a call.